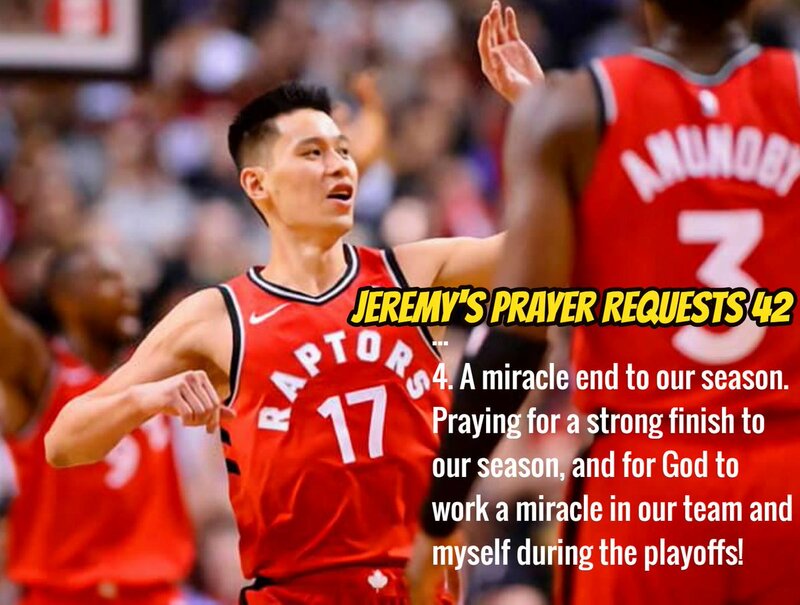 In Jeremy Lin’s Prayer Request #42, one of them is for a miracle end to the Raptors season, for his team and himself in the playoff. He also requested to a prayer to find the balance between self-confidence and surrender. Spiritually, he felt God called him to Toronto to invest his time for the city and also someone in the Toronto organization. Perhaps he might feel called to invest his time in Toronto beyond this season if everything goes well after the season. Lin shared in the Nets post-game interview that after coming out of 2 years of injury, he is trying to figure out his body and there’s still a lot of moving parts right now. 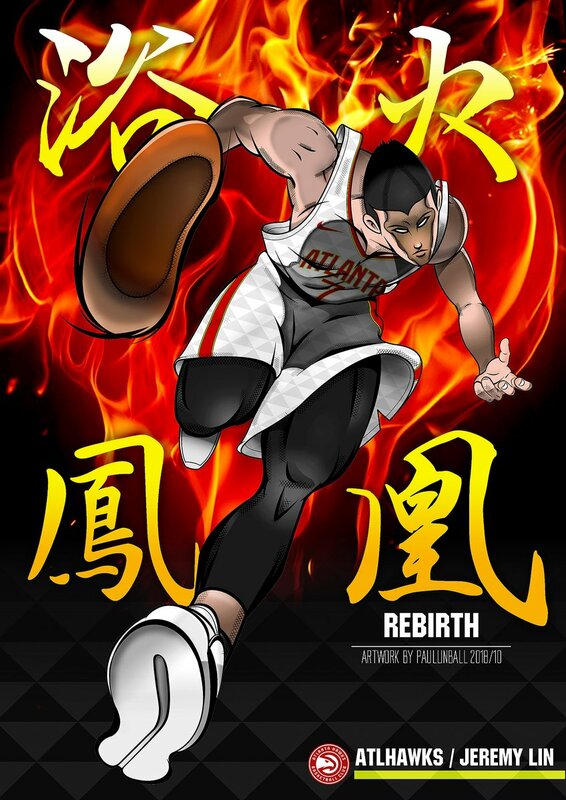 Unless there is a miracle happening, Lin fans would need to readjust their expectation this season because his body is not ready to go back to his old self pre-injury in order to get back to his old playing style. As usual, want to start off the prayer letter with a little sharing on what God’s been teaching me. Recently, I’ve really felt God forcing me to give up trying to control my life. I’ve always found it somewhat ironic and very difficult that as Christians, we are to simultaneously work with our full effort and surrender the results. Personally, the more I work at something, the more I invest into something, the more I strive for something, the more I want the result to be what I want it to be. But just as Isaac waited 25 years for a son, Abraham, God tested his heart and asked him to sacrifice his own son. As the story goes, Isaac didn’t have to actually sacrifice Abraham in the end but God is always asking us to make Him our #1 priority, not our lives, dreams, relationships or wealth. As God has slowly broken and humbled me to further surrender, I’ve begun to feel a deeper sense of joy and contentment in Christ, not contentment in circumstances. This is a lesson I’ve learned many many times in my life but my stubborn self loves re-learning the same lesson smh. As I fail more, God humbles me more. As I am humbled more, I surrender more. As I surrender more, I feel myself opening up more space in my heart and body for God to work through me. And no better verse sums up our surrender than 2 Corinthians 12:9 — “My grace is sufficient for you, for my power is made perfect in weakness.” Therefore I will boast all the more gladly about my weaknesses, so that Christ’s power may rest on me. 1. Spiritual revival in Toronto and Canada. I feel God has called me to Toronto and I pray that God would start a fresh wave of prayer/evangelism in Toronto and even Canada. 2. An evangelism opportunity to someone in the Raptors organization. I’ve been praying about this and hope that I can invest in 1-2 people before the season ends. 3. Continued breakthrough in my spiritual life. I’ve been wrestling with things like contentment, powerful intercessory prayer, accessing the Holy Spirit and finding the balance between self-confidence and surrender. 4. A miracle end to our season. Praying for a strong finish to our season, and for God to work a miracle in our team and myself during the playoffs! That’s all for today, hope everyone’s enjoying the nicer weather!